Posted on October 28, 2015, updated August 22, 2017. It is actually happening. The love of your life is down on one knee asking you that pivotal, life-altering, and magnificent question, “Will you marry me?” After the happy tears, toasts of champagne and outpouring of love and congratulations from friends and family, you prepare to embark on your exciting wedding planning journey! And what is your first step? Consult your Pinterest boards of course! Pinterest has revolutionized the way brides plan their big day and communicate with their vendors! Instead of describing their likes and dislikes, they can map out particulars and keep track of ideas or “pinspiration.” Pinterest has also been a great aid to brides who may not know what they envision for their wedding day. From bridesmaid dresses to guest favors, Pinterest has an abundance of beautiful and unique ideas for brides of all locations and budgets. But at what point does a good thing become too much? The Event Group has collaborated with floral designer Hens and Chicks and photographer Hot Metal Studio to put together a set of guidelines to optimize your Pinterest planning experience. Follow these tips below to use your inspiration boards effectively, efficiently and creatively! Flowers, lighting, rentals, the list goes on! Depending on the size and venue of your wedding, you may have numerous vendors collaborating with one another to create your vision. If there are particular pictures or ideas you want to show them on Pinterest, create separate boards for each one of your vendors to reference when describing your ideas. Make these boards private and invite only the vendors you think are appropriate, making sure to invite your event planner to all of them. The description boxes are a vendor’s best friend! Use them to designate exactly what you like in a picture and what you do not like. If you leave them blank or, even worse, with the description it was previously pinned with, your vendors may misconstrue what you are really loving in that particular picture! Your event planner may think you pinned a photo for the color scheme and overall look when really you were simply pinning it for the linens featured. 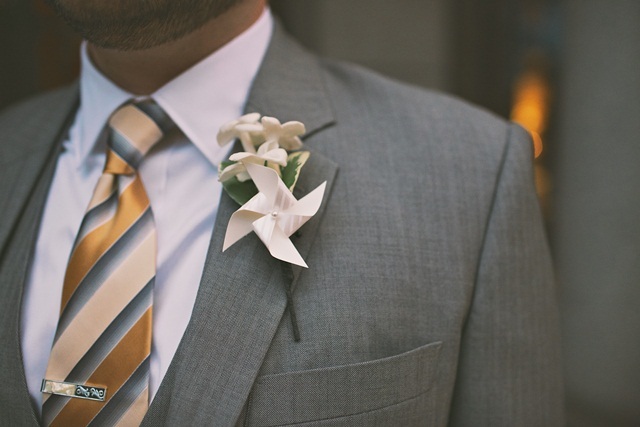 Help them help you by being as detailed as possible when pinning a picture to one of your wedding boards. As beautiful as that pin may be, it may also be seasonal, out of your budget or not available in your area. Because of this, it is important to not get hung up on any pin in particular, just derive inspiration from it! Trust your vendors to create a similar look or vibe but with your own personalized spin on it. Because Pinterest has a surplus of ideas and photos, the website can become overwhelming to a bride-to-be. Pinterest is best utilized in the beginning of your planning process, to pinpoint your likes and dislikes and get a feel for what you and your fiancé envision. Surfing Pinterest after you have already signed contracts, approved mock ups and sent out your invitations can send you into a whirlwind, questioning your decisions. Stay true to yourself by staying off Pinterest after all of the large planning decisions have been made! A helpful tidbit: Delete the app from your phone after you have made your decisions! Doing so allows you to keep your account active but stops you from easily perusing Pinterest as a nightly ritual … (yeah, we’ve been there too). We hope these tips, tricks and vendor insights send you down the aisle in ease, armed with carefully curated boards and a wedding day that is very, truly you.